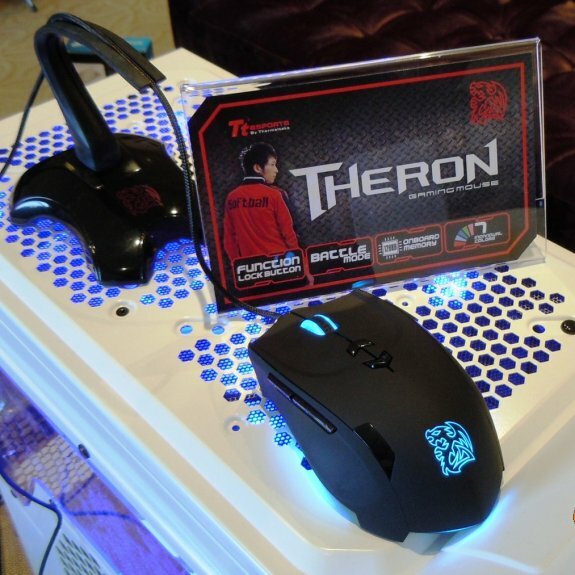 ThermalTake demonstrated several upcoming products at the Taipei Game Show 2012. It includes new mice and new cases, with one of the most extraordinary products being the Level 10 GT Call of Duty Version. This case goes over the top with a military styling that includes a rocket launcher as a handle and a six barrel machine gun that can rotate once power is attached. Thermaltake Group with the most avant-garde innovation and creativity in delivering the corporate mission of the “perfect user experiences” is prepared to exhibit “Taipei Game Show 2012” from February 2nd to 6th. Together with Tt eSPORTS and Thermaltake, the 5-day event will host a series of exciting programmes to introduce an array of conceptual and technical innovations and offers an exciting glimpse of the brands’ future design language with amazing stage shows, and well-known players － our own professional e-Sports Team - Tt APOLLOS and it’s StarCraft2 player – SoftBall, the world-famous StarCraft2 players –Aleksey “White-Ra” Krupnyk from Ukraine, and MarineKing eSports Team from South Korea, together to present entirely new and creative innovations that comprehensively adapt to the cultures of “enjoyment of entertainment, e-Sports, technology, and lifestyle”. Tt eSPORTS invite Tt APOLLOS Team SoftBall and HRU to demonstrate the live showmatch of StarCraft 2, and international well-known pro-gamer White-Ra and MarineKing will also be delivering the amazing show match for fans and visitors during these 5-day events. Tt eSPORTS pro-designed gaming gears to overwhelm your eSports experience Since 2010 Tt eSPORTS has surprised the world of eSports community now only with its products but also the continuous dedication and passion for eSports. Its distinguished brand vision and personalized designed products from research to fashion culture are constantly brought forth to attract gamers’ attention. 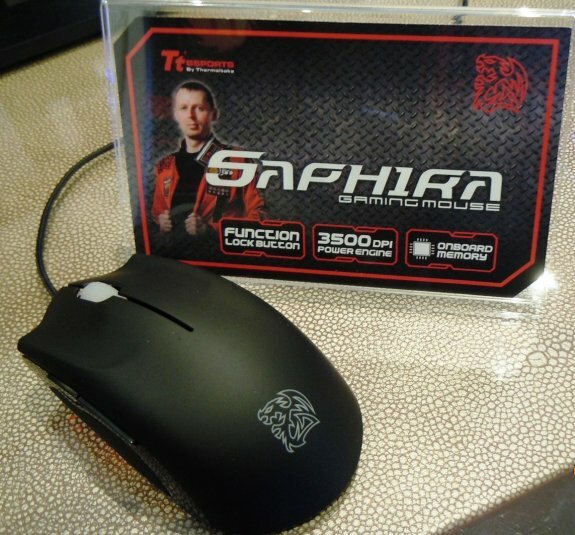 Tt eSPORTS’ latest pro-gaming laser-engine mouse THERON, designed and endorsed by Tt APOLLOS SoftBall, as well as White-ra’s SAPHIRA, are all echoing to eSports community that Tt eSPORTS reserves none to bring the best pro-gaming products to the world. At TGS 2012, Tt eSPROTS will display everything from stage events to live demonstration of pro-gaming gadgets by the best pro-gamers, with style of course! 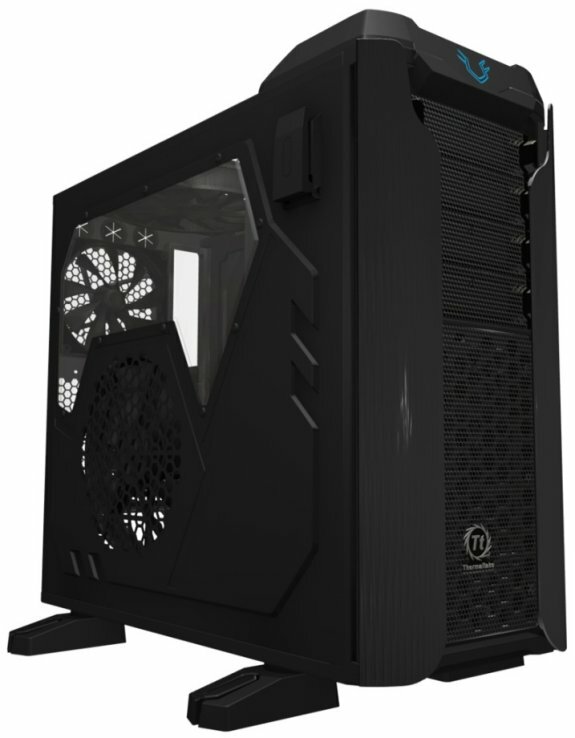 Thermaltake will showcase a series of new innovations and professional gaming chassis at TGS 2012 including the most discussed space theme gaming chassis the Chaser MK-I, Overseer RX-I and Commander MS-I. The first attention grabber is a case mod created by Brian Carter, merging the loves of his life into one harmony – the Level 10 GT COD version that is making it first appearance in Asia. 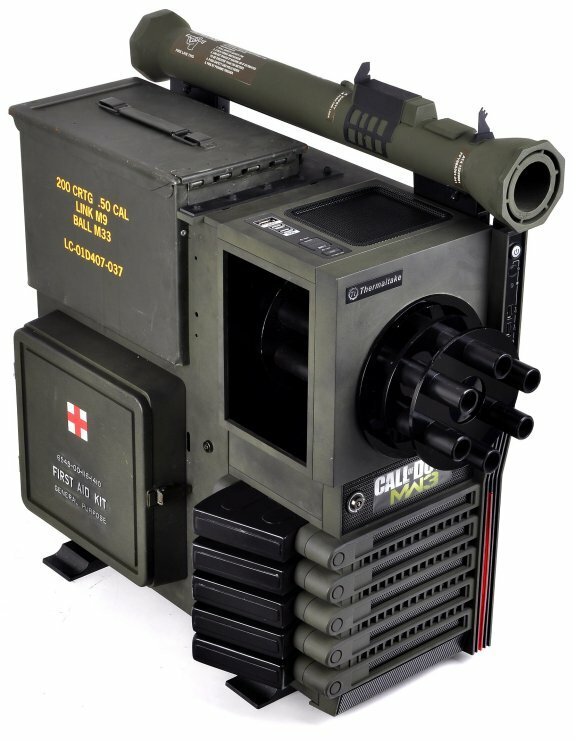 The mod has turn the original Thermaltake Level 10 GT handle into a rocket launcher, 5.25 driver bays into a six barrels machine gun (can automatically rotate once the power is attached), and 5 hotswap bays into 5 extend magazines, fully express the spirit of Level 10 GT of imagination without boundaries. Brain Carter did not only thought about the exaggerated appearance but he has also keep all original functionality of level 10 GT, which provides FPS gamers an absolute war zone feel inside and outside of the game. Furthermore, the highly anticipate Armor Revo, a combination of modern gaming trend with traditional Thermaltake unique aluminium front bezel that implicit a vivid knight characteristic underneath its protective armor, and Level 10 GTS, the new born baby of the Level 10 family with FaceCloud installation that could instantly turn into a NAS stand along operating system that will maximize the versatility of its daily usage.